2. 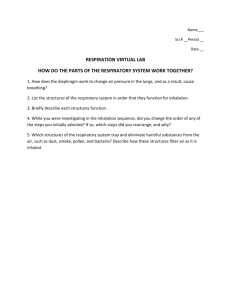 Describe the passage of air as it passes through the respiratory system (step by step). 3. What is the glottis? 4. 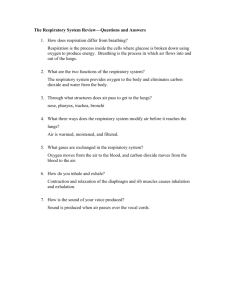 What is cellular respiration? 6. What is VO2 and what is VO2max? How are they different? 7. How would oxygen efficiency differ between an athlete and a smoker? 8. How is oxygen mainly transported? 9. How is CO2 transported, include percentages for each type of transport. 10. 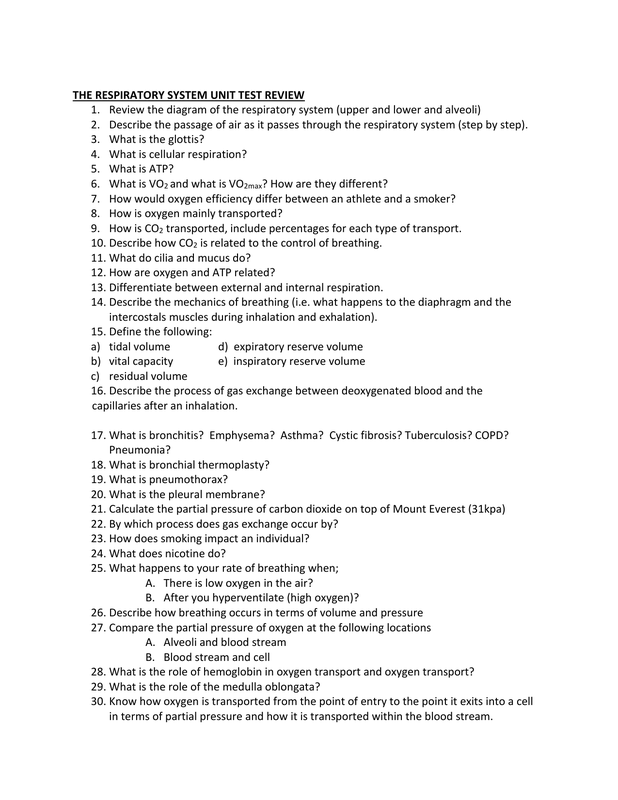 Describe how CO2 is related to the control of breathing. 11. What do cilia and mucus do? 12. How are oxygen and ATP related? 13. Differentiate between external and internal respiration. intercostals muscles during inhalation and exhalation). 17. What is bronchitis? Emphysema? Asthma? Cystic fibrosis? Tuberculosis? COPD? 18. What is bronchial thermoplasty? 20. What is the pleural membrane? 22. 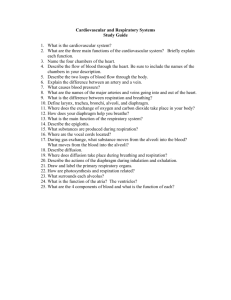 By which process does gas exchange occur by? 23. How does smoking impact an individual? 24. What does nicotine do? A. There is low oxygen in the air? B. 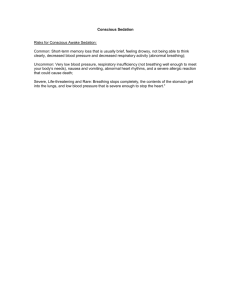 After you hyperventilate (high oxygen)? 28. 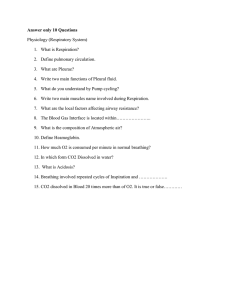 What is the role of hemoglobin in oxygen transport and oxygen transport? 29. What is the role of the medulla oblongata? in terms of partial pressure and how it is transported within the blood stream.